Given the exclusive and custom-made nature of haute couture, I think it’s fair to say that this category of fashion is out of reach for most of us, and not exactly an everyday-wearable look. However, there is no reason why we can’t all still admire and champion haute couture for the stunning and breathtaking art form that it is. The selection of fabrics and jewels on some of the most reality-defying pieces showcased this haute couture fashion week are bound to leave you in awe. 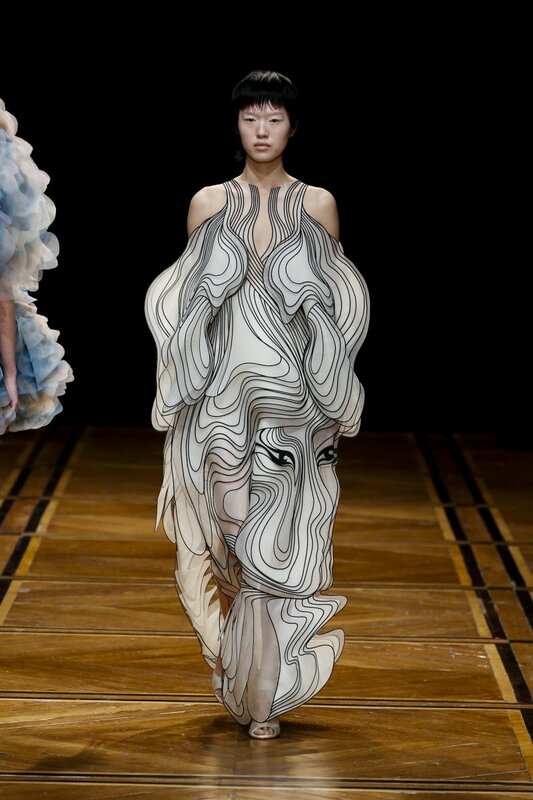 This season, one of our favourite shows to livestream from Casper & Casper HQ was the Iris van Herpen 2019 Spring Couture Collection. The collection, fittingly labelled ‘Shift Souls’, challenges your perception of reality and form in fantastic and innovative fashion. 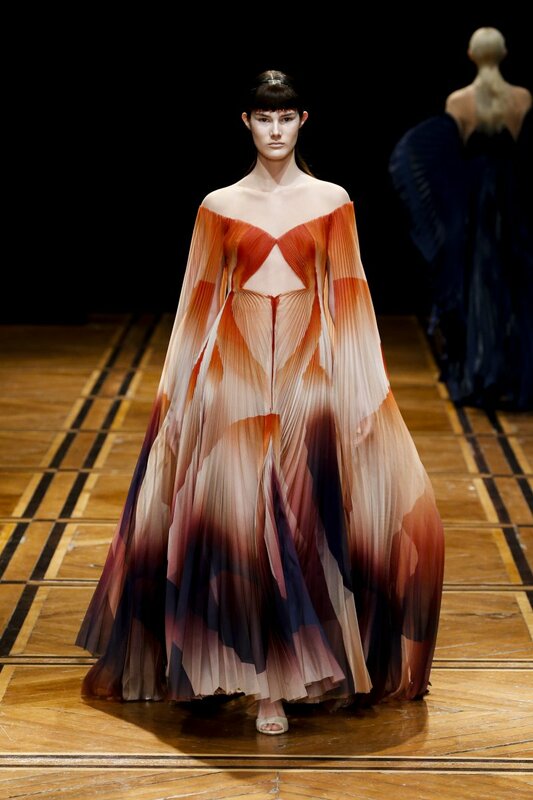 Vogue reported that the Dutch designer drew inspiration from the astronomical atlas Harmonia Macrocosmica (1660) by mathematician and cosmographer Andreas Cellarius. 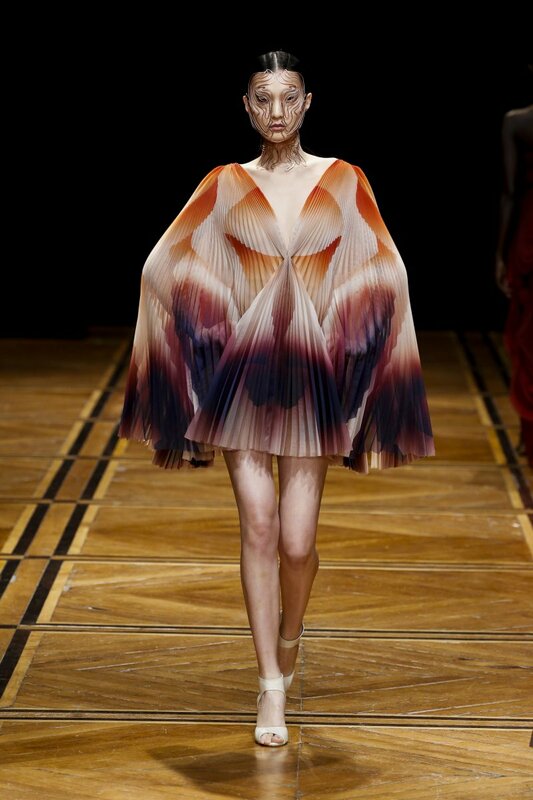 van Herpen then channels the fusion of science and art in producing the surreal by recruiting former-NASA engineer and current-artist Kim Keever – known for his use of colour in lush, moody abstract landscapes – to channel the cosmos and infuse it into her clothing. 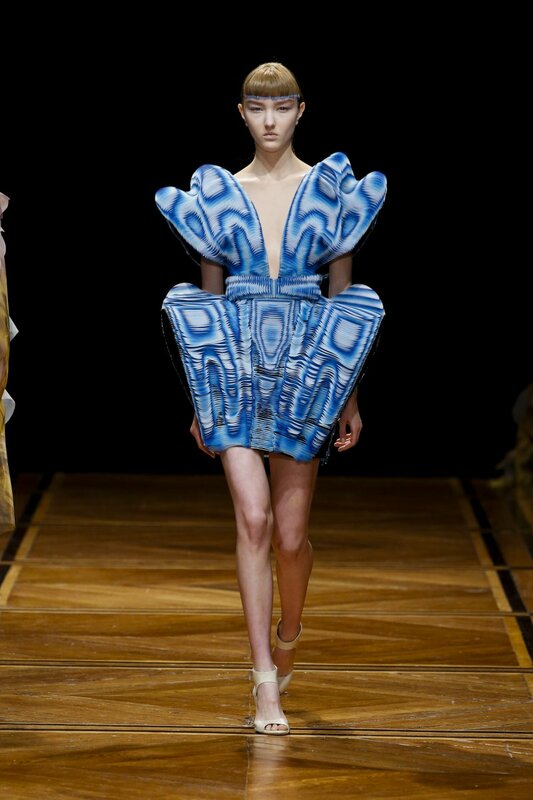 The designer also reportedly studied the fluid and imaginative shapes of the human body in both mythology and history. Noting the multitude of possibilities that the female form can take within myths – especially in Japanese mythology – the designer credits this style of art as having given the inspiration to dig deeper in the exploration of identity, and the ever-changing spirituality that can be associated with it. The pieces consequently feature motion-within-motion. van Herpen uses line and colour, form and structure, and reimagines it to do something else other than contain, constrain, and define. Instead, van Herpen’s soft patterning, 3D-printed face jewellery and translucent clouds and petals lead the models’ anatomies – and, subsequently, the gaze of the fashion world – towards a more exploratory venture into what expressions of femininity could be. The Dutch designer moves beyond the function of colour, form and boundaries, and nothing ever remains stationary in the avant-garde execution of typical van Herpen vision. 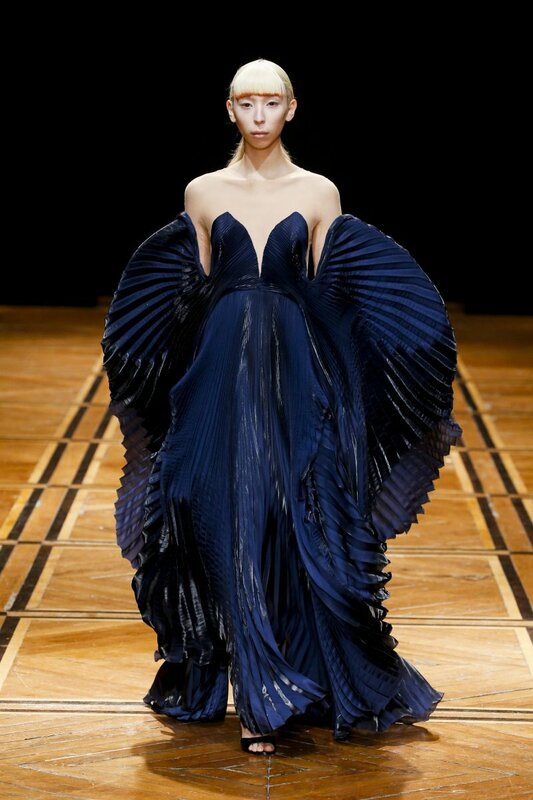 View more of van Herpen’s collection and works on her website. For more fashion insights from the Casper & Casper team, tune in to our fashion section.